i'm actually very open to djing this stuff. lemme know if you have an event that might fit.. https://soundcloud.com/habibifunk check out part one of the mix here: https://soundcloud.com/jakarta-records/jakarta-radio-001-jannis-of i got to travel a lot in north africa in the last years thru touring with blitz the ambassador and the studio session with oddisee for sawtuha in tunisia. while being there i did some digging and found some incredible music from the 60s and 70s. some of the music in this mix has zero info on the net, was never sold on ebay and has not been "rediscovered" yet. others are somewhat classics in the field of „arabic groove“. 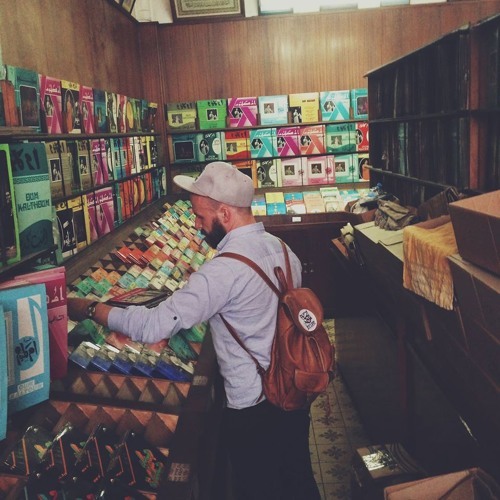 the music in this mix comes from morocco, libya, eggpt, algeria, lebanon and syria. photo by robert winter. what song is running at 24:33? @jakarta-records: last track isn't right? I love this. How can I get the track list? no tracklist :- ( ? plsss what track is this? great beats, I am doing my work in the wine cellar only with this stuff! !